Given the fact that I have a beard and therefore only use a razor on my cheeks (yes, the ones on my face) it’s fair to say razors rarely get me excited. 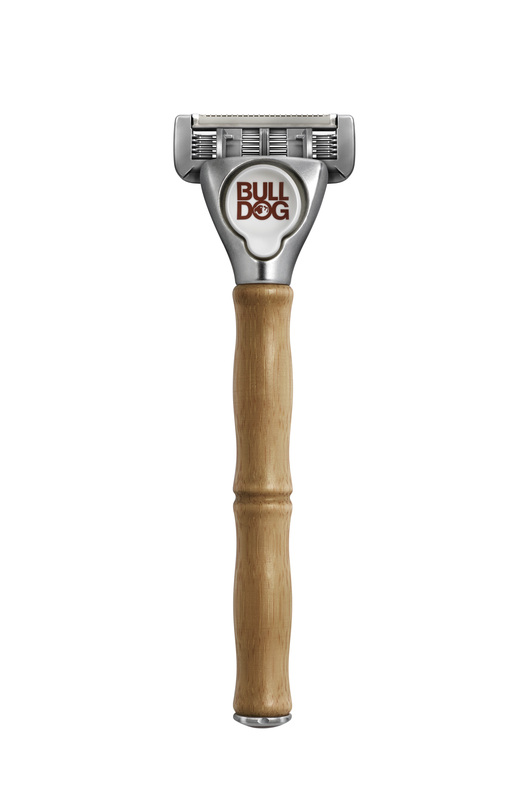 But I feel as though I have a certain responsibility to report what’s going on in the shaving market so I’m here to tell you Wilkinson Sword have a new version of their Hydro shaver out. I’m actually a big fan of the Hydro – it’s the razor I use myself to do the bits around my beard thesedays – but I use the manual version. Battery-powered razors have always left me a bit cold. But if you’re a fan of them you’ll love the Hydro 5 Power Select because it’s the first razor that enables you to customise the vibrations. Featuring a built-in microprocessor the Hydro 5 Power Select allows you to switch at will between three levels of blade vibration. What’s more, it also tells you when the battery’s running low. 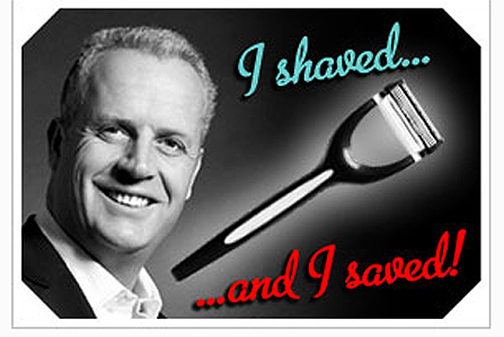 Sadly, it won’t tell you which direction to shave in (now there’s an idea!) but it’s undoubtedly one step closer towards the ultimate “bespoke” shave. 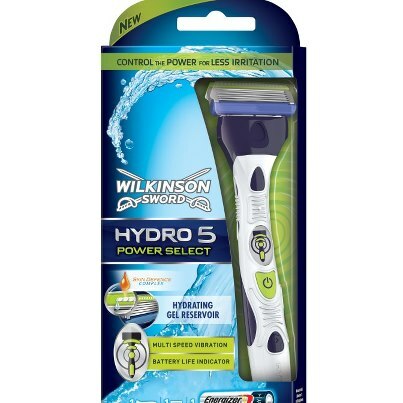 The Wilkinson Sword Hydro Power Select costs £12.99 and is available from all good supermarkets and retailers nationwide. David Beckham’s impressive sleeves aren’t the only ink to be splashed all over ads for grooming gear thesedays. More proof of how accepted tatts have become in the mainstream media comes in the shape of King of Shaves‘ ad for their Azor razor featuring British sprinter James Ellington. 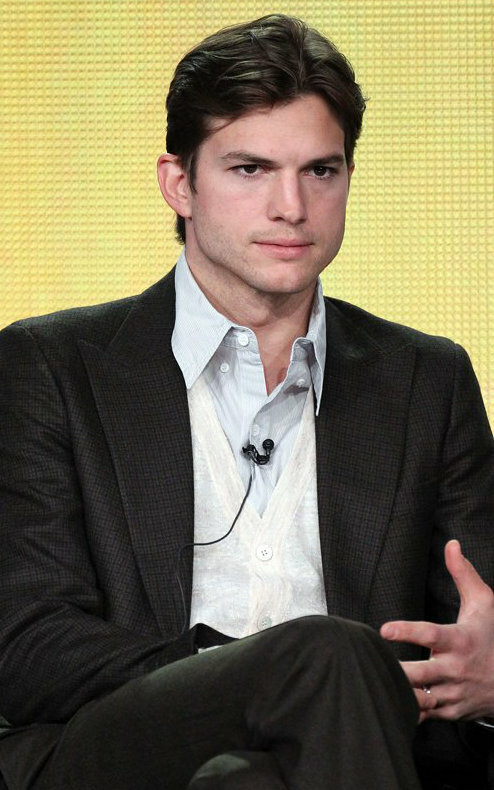 Looks sharp doesn’t he? The world of male grooming is full of good ideas but here’s one I think’s quite brilliant – a grooming ‘subscription’ service that delivers a whole load of essential grooming gear to you every month and just in time for when you need fresh supplies. Not only is this good news for men who hate scouring supermarket isles for the right shower gel but for women too, who often find their own products half-inched by light-fingered husbands, boyfriends of kid brothers. 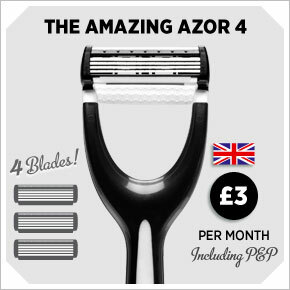 Packs start from £9.99 per month (including delivery) and contain everything from shower gels, shampoos and razors from big names like King of Shaves, Moose Head and Original Source. Best of all, they’re delivered in a slimline box that fits neatly through your letterbox so there’s no need to knock up your neighbours (so to speak). Simple idea, big benefit.